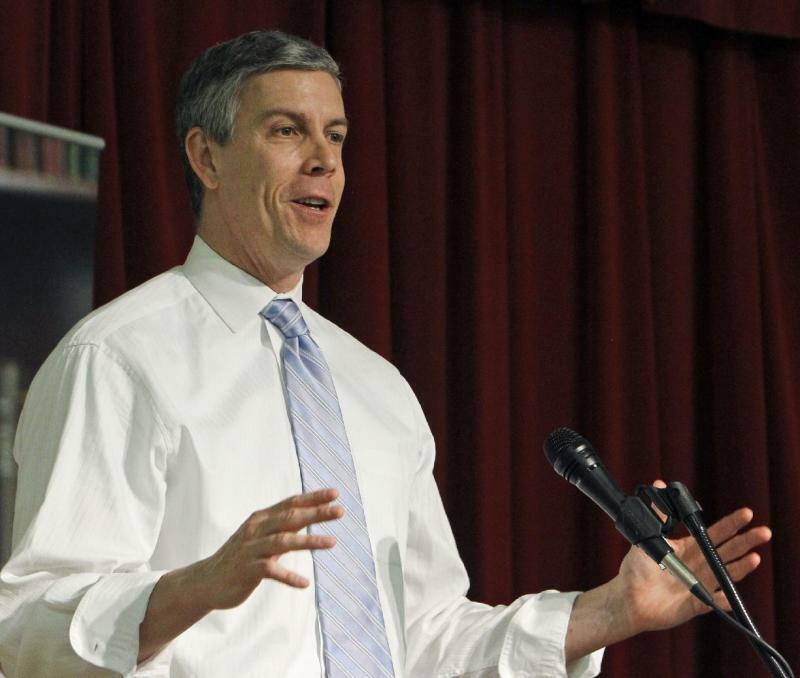 WASHINGTON (AP) — A later start to the school day could help teenagers get the most from their classroom time and local districts should consider delaying the first bell, Education Secretary Arne Duncan said Wednesday. School districts would still be free to set their own start times, Duncan insisted in a broadcast interview, but he pointed to research that backs up his comments that rested students are ready students. Duncan said he would not be telling local school leaders when their first bells should ring and said it was up to local leaders to make the decisions on their own. "There's lots of research and common sense that lots of teens struggle to get up ... to get on the bus," said Duncan, the former chief of Chicago Public Schools. "Teen brains have a different biology," said Kyla Wahlstrom, director at the University of Minnesota's Center for Applied Research and Education Improvement. For the last 17 years, Wahlstrom has studied teenagers' sleep cycles, brains and learning. She has concluded that schools that want ready students must have students arrive rested. Absenteeism, tardiness, depression, obesity, drop-out rates and even auto accidents all decline when students head to school after a good night of sleep. Schools are starting to take notice. Take, for instance, Virginia's Fairfax County Public Schools. Most medical professionals recommend between 8.5 and 9.5 hours of sleep for students. The Fairfax district surveyed students in grades 8, 10 and 12 and found two-thirds of them were sleeping seven hours or less each school night. Among high school seniors, 84 percent routinely slept less than seven hours each night during the 2011 survey. That prompted the school district, the 11th largest in the country, to partner with the Children's National Medical Center's Division of Sleep Medicine to study student's nighttime habits this year and to consider pushing its start time to 8 a.m. or later in coming years. "Teens have a different body clock," said Terra Ziporyn Snider, the co-founder of Start School Later, a grassroots advocacy group that has pushed schools for delayed bells. "You don't run schools at a time when kids aren't ready to learn." There isn't an easy fix. Bus schedules have been a driving factor in recent decades for when schools start their days, as are after-school jobs for teenagers, extracurricular activities and interscholastic sports. The challenge of transporting students to these activities — as well as classes — often is cited as a reason high school days begin at dawn and end mid-afternoon. "So often, we design school systems that work for adults and not for kids," Duncan told NPR's "The Diane Rehm Show." Research backs up Duncan's worries about student sleep patterns and academic achievement. "Children who sleep poorly are doing more poorly on academic performance," said Joseph Buckhalt, a distinguished professor at Auburn University's College of Education. He has been tracking sleeping patterns of 250 children as well as their IQ tests, performance on standardized tests, their grades and behavior. His findings suggest sleep is just as important to student achievement as diet and exercise. "All the data that we've seen on sleep shows that children, especially teenagers, are sleeping less," he said. "If you don't sleep well, you don't think very well." Part of the lack of sleep is biological as teenagers go through puberty, Buckhalt said. But afterschool programs such as sports or clubs, as well as increased pressure for students to perform well academically, keep them up later than is prudent. Add in caffeine, non-step social interactions through text messages and Facebook and sometimes less-than-ideal home environments, and students have steep challenges. For students from less affluent families, the effects can be compounded, Buckhalt found. "Fifty years ago we learned that hungry kids don't do well in school. Now we know that sleepy children don't do well in school," Buckhalt said. "Now we have to do something about it." That doesn't mean all schools are rushing to delay the first period for high school students. "If any issue cries for local decision making, this is one," said Patte Barth, director for the Center for Public Education at the National School Boards Association. The professional organization has not taken a position on the ideal time to start schools, but Barth said Duncan is correct. "Teenagers are much more alert later in the day rather than earlier," she said. In schools where the day starts later, there have been immediate gains, she said. "Some districts have made these adjustments to the school day and they have found among their teenagers that attendance is better, kids aren't falling asleep," she said. But it comes at a cost for other students, both in terms of dollars and opportunities because schools are operating with limited resources. "If you're starting the high school kids later, you're starting elementary kids earlier. No one wants those kids out on the streets when it's dark," she said. "If they're contemplating this switch, they need to look at the costs." But some districts have made it work with few disruptions. "It's not about costs. It's about fear of change and failure of imagination," Snider said. Wahlstrom, the former school principal-turned-researcher, said President Barack Obama is living this every day with his daughters, ages 12 and 15. "If they are getting out of bed before 8 a.m., the biology says they are not ready," she said. "It hits home as high up as the White House."